The Dai Hung oilfield was discovered by JV “VIETSOVPETRO” in 1988. It is located in the South Western portion of the EAST Sea, at block 05-1A, approximately 250 km offshore from the coast of Vietnam at a water depth of approximately 110 meters. BHP Petroleum had installed the facilities such as Semi-Submersible Platform, Subsea wellhead, CALM Buoy in 1994. BHP Petroleum had transferred ownership of field to PETRONAS CARIGALI from 1997. VIETSOVPETRO received field from PETRONAS CARIGALI in 02/1999. The facility utilizes a Floating Production Unit (FPU) which is connected to 12 subsea wells and WHP DH02 via flexible flowlines, umbilical and submarine cable. The field facilities currently comprise: Floating Production Unit Dai Hung 01, subsea wells, WHP DH02, flowlines, mid depth buoys, CALM buoy, and to number of 6 inch oil export flexible flowlines that route product liquids from the FPU-DH1 to the FSO. The field is operated by PVEP POC. 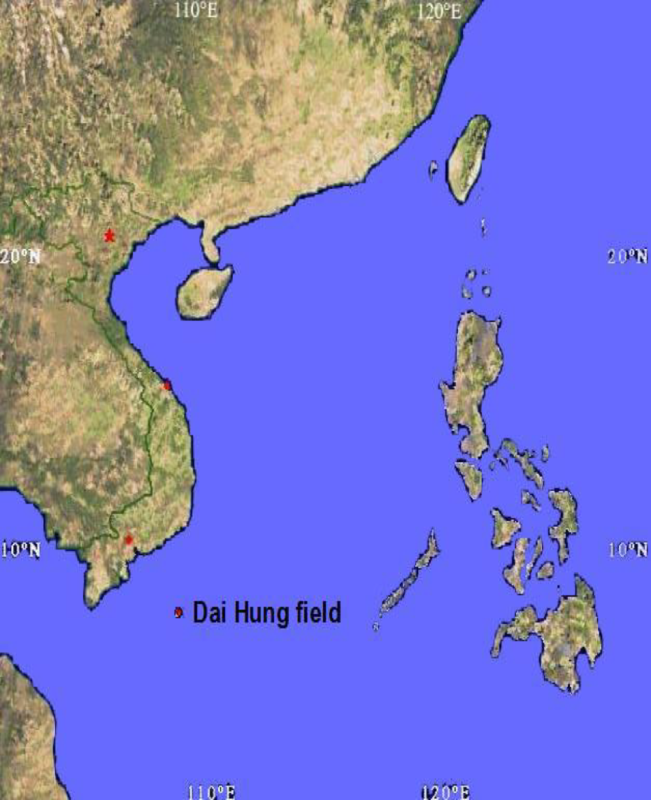 The Dai Hung field is located in the South Western portion of the South China Sea, at approximately 8030’N latitude, 108040’E longitude, and 250 km offshore from Vung Tau, Vietnam. Water depth: 110 – 120m. Prevailing winds in the region are distinctly seasonal depending on the monsoon period. From October to March winds tend to be North North East to East North East, while during June to September winds tend to be South South West to West. In the brief transitional seasons, winds tend to vary in direction. Waves in general reflect the seasonal directionality of the monsoonal winds. The waves associated with the monsoon are generally very high due to the stronger and more consistent winds. 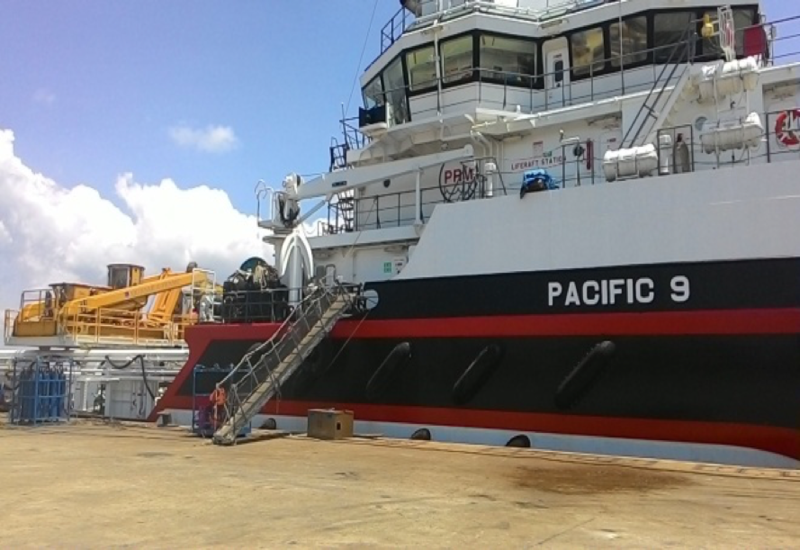 MOB vessel equipped with ROV to Vung Tau PTSC downstream port, Viet Nam. MOB DP AHTS equipped with all necessary anchor handling equipment suitable for the FPU DH01 anchor chains (98mm) and suitable for CALM buoy anchor chain (76mm) to Vung Tau PTSC downstream port, Vietnam. 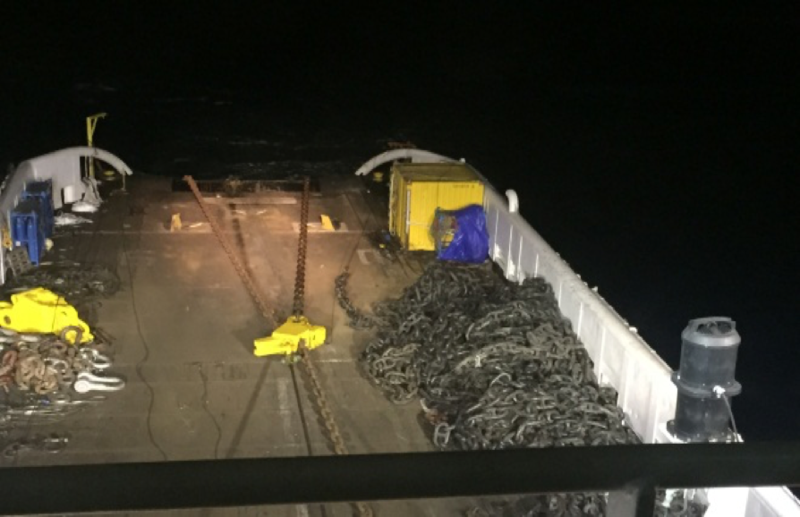 Load new chain cable (1 x 650 m of 98mm studded chain), Stevshark anchor 37 tons and connecting links on to DP AHTS. Sail to Dai Hung oil field. 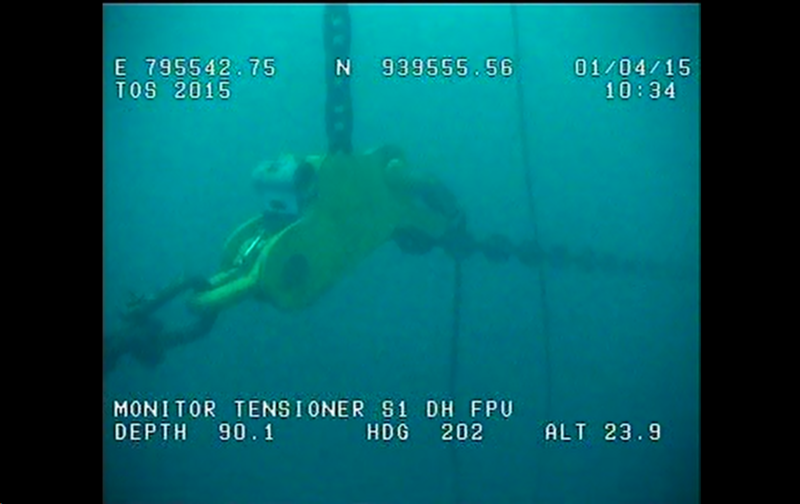 Use ROV to connect FPU DH01’s chain No.1S to towing wire of DP AHTS. Hook up FPU DH01’s chain and anchor No.1S onto DP AHTS deck. 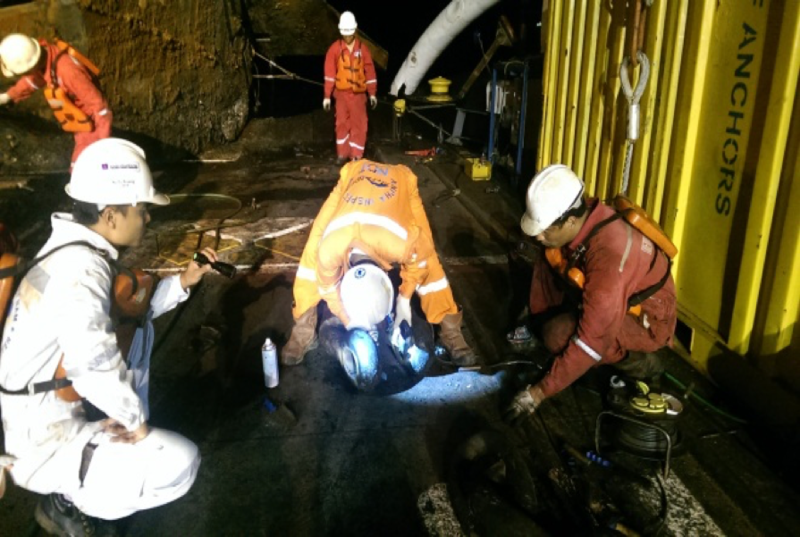 Commence chain and anchor inspection according to API RP21 Section 3 – Guidelines for In-service Inspection of Mooring Chain and Anchor Jewelry – for 650m from the end of Stevshark anchor 37 tons. 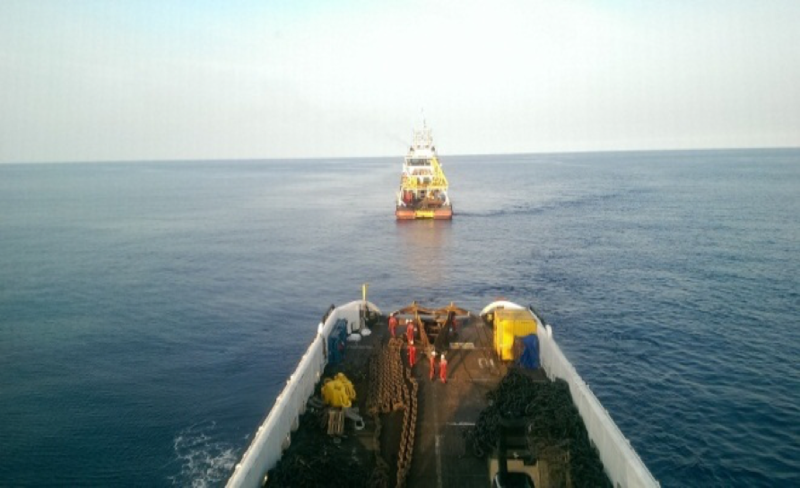 Renewal the anchor and 650m chain by new ones. Drop anchor on position then tensioning. Tension will be increase to 500 tons horizontal and kept for 15 minutes. The final position of anchor after tensioning must stay on the designed bearing and is not closer FPU DH01 than before hooking up. Lay down the chain on the seabed as before hooking up. Carry out survey by ROV. + Transport old chain cable to Vung Tau PTSC downstream port, Vietnam. Load new chain cable (1 x 650 m of 98mm studded chain). + Sailing to Dai Hung oil field. + Repeat above steps for FPU DH01’s anchor and chain No.1P. + Renewal 650m chain by new one. + Drop anchor on position then tensioning. Tension will be increase to 500 tons horizontal and kept for 15 minutes. The final position of anchor after tensioning must stay on the designed bearing and is not closer FPU DH01 than before hooking up. + Lay down the chain on the seabed as before hooking up. 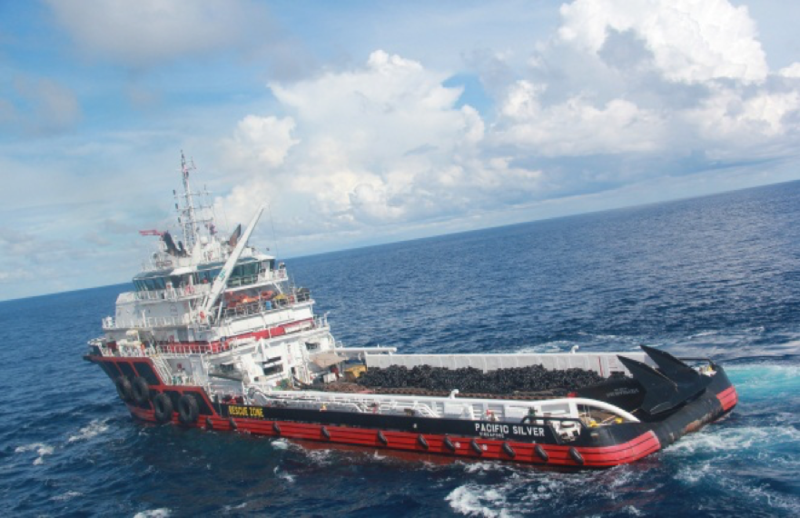 + Carry out survey by ROV. Transport old chain cable, old anchor to Vung Tau PTSC downstream port, Vietnam. Load new chain cable (1 x 750 m of 76mm studded chain), Stevpriv anchor 20mtons and connecting links on to DP AHTS. Use ROV to connect CALM buoy’s chain No.2 to towing wire of DP AHTS. Hook up CALM buoy’s chain and anchor No.2 onto DP AHTS deck. Commence chain and anchor inspection according to API RP21 Section 3 – Guidelines for In-service Inspection of Mooring Chain and Anchor Jewelry. 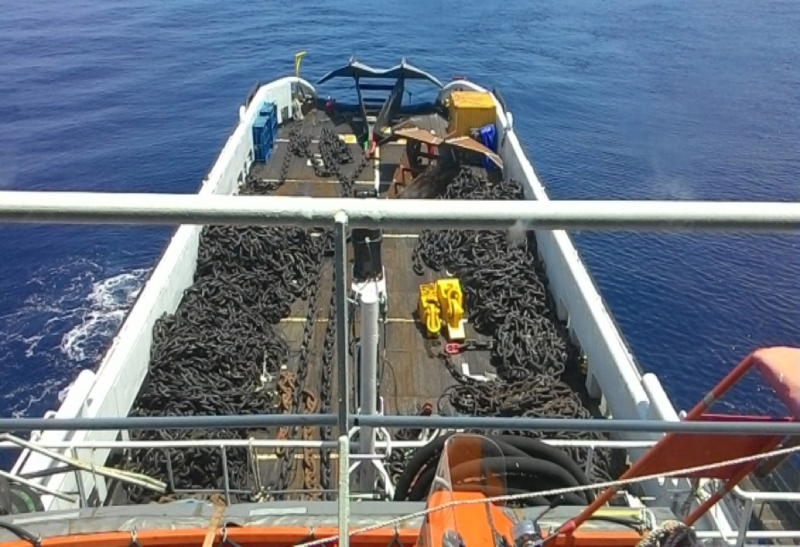 Renewal the anchor and 750m chain by new ones. Drop anchor on position then tensioning. Tension will be increase to 300 tons horizontal and kept for 15 minutes. The final position of anchor after tensioning must stay on the designed bearing and is not closer FPU DH01 than before hooking up. + Transport old chain cable to Vung Tau PTSC downstream port, Vietnam. Load new chain cable (1 x 750 m of 76mm studded chain). + Repeat above steps for CALM buoy’s anchor and chain No.8. + Renewal 750m chain by new one. + Drop anchor on position then tensioning. Tension will be increase to 300 tons horizontal and kept for 15 minutes. The final position of anchor after tensioning must stay on the designed bearing and is not closer FPU DH01 than before hooking up. Demob DP AHTS, ROV vessel, equipment and manpower.